Codemasters and Feral Interactive announced that GRID Autosport will release for Nintendo Switch in 2019. GRID Autosport is going to be the first full racing simulator game that is coming to Nintendo Switch. GRID Autosport was initially developed and published by Codemasters for Microsoft Windows, PlayStation 3, Xbox 360. Feral Interactive brought the GRID Autosport to macOS, Linux, and iOS. GRID Autosport Nintendo Switch version is also being dealt with by Feral Interactive. "GRID Autosport challenges players to become pro-racers, mastering motorsport's most exciting cars on the world's most thrilling circuits, from the Indianapolis Motor Speedway to the city streets of Barcelona. With customisable difficulty and a range of driving disciplines, GRID Autosport delivers an irresistible mix of realistic handling and high-speed thrills." 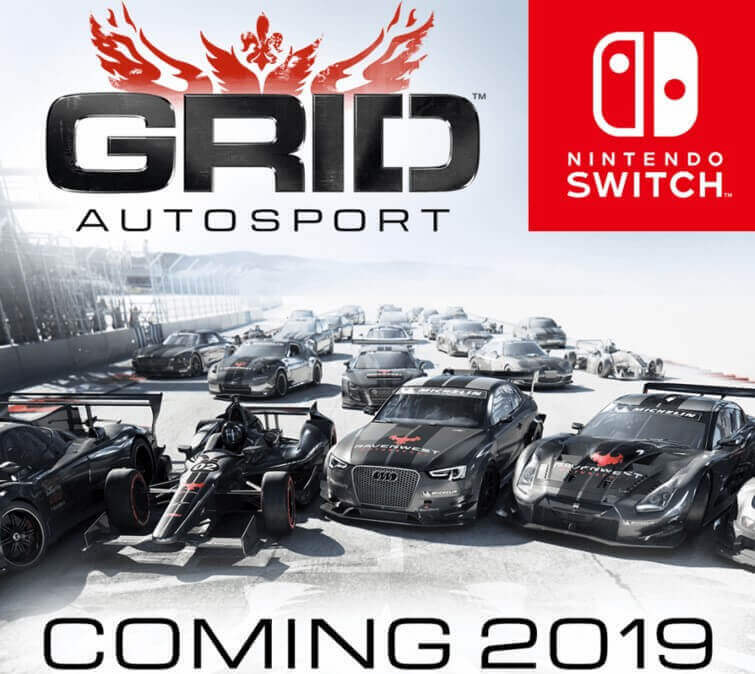 "GRID Autosport's AAA production values and deep yet accessible gameplay will make it a fantastic addition to the Nintendo Switch," said David Stephen, Managing Director of Feral Interactive. "Following its success on iOS, we're thrilled to bring it to Switch players." GRID Autosport will release for Nintendo Switch in 2019.